Read below for OEM position statements on restraints wiring repairs. You can read below or visit I-CAR’s page, here. Audi: Per the Audi repair manual: “The airbag and seat belt tensioner system can fail. Faulty repairs performed on airbag and seat belt tensioner system can lead to malfunction in passenger protection. Fiat/Chrysler/Dodge/Jeep/RAM: Per FCA Service information: “It is important when repairing any Supplemental Restraint System (SRS) electrical circuits to use the recommended splicing kit and procedure. This recommended procedure involves crimping the wires together with a splice band, soldering the crimped connection and, finally, sealing and protecting the repair. The crimp and solder ensure a strong mechanical bond that will always pass a pull test while also maintaining the conductivity and current carrying capacity of the circuit. The adhesive sealant and heat shrink tubing ensures the splice repair will perform as well or better than the original wire and be safe from potential corrosion or short circuits. a stand-alone harness, do not repair them. Replace the restraints harness unless directed to repair the circuit by a TSB or other Ford publication. Mitsubishi: Per the Mitsubishi service information: “Do not attempt to repair the wiring harness connectors of the SRS. 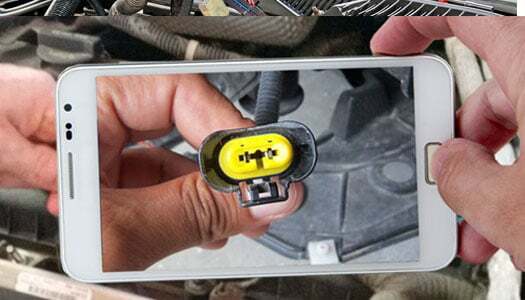 If any of the connectors are diagnosed as faulty, replace the wiring harness. If the wires are diagnosed as faulty, replace or repair the wiring harness according to the following table.” The table can be found in the Mitsubishi repair information. To read directly and/or view this information on I-CAR, click here. findpigtails.com did not contribute to this information. Please cite Author: Scott VanHulle per I-CAR’s page.